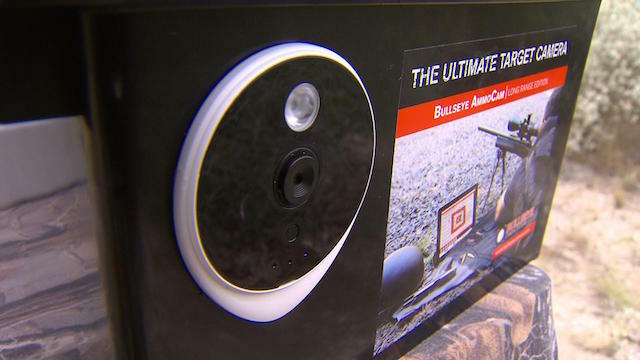 The Bullseye Camera System is as simple as setting the Bullseye AmmoCam target camera down range, downloading our free app and seeing your shot on your iPhone, iPad, Kindle Fire/HD, Android Device or laptop from up to 1 MILE away. 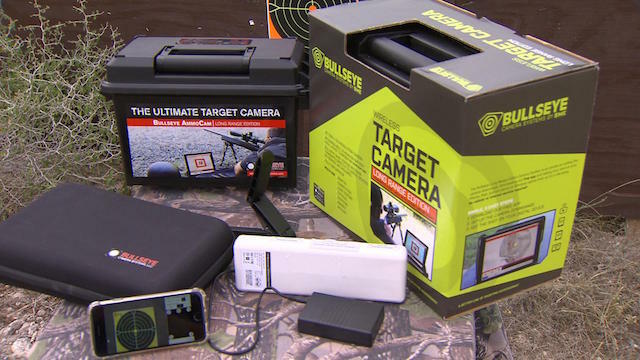 The Bullseye Long Range Edition Camera System is a unique patent-pending system that features a camera that sets-up down by a target and wirelessly transmit back to you iPhone, iPad, Android device or Windows laptop at your shooting location up to 1 mile away. 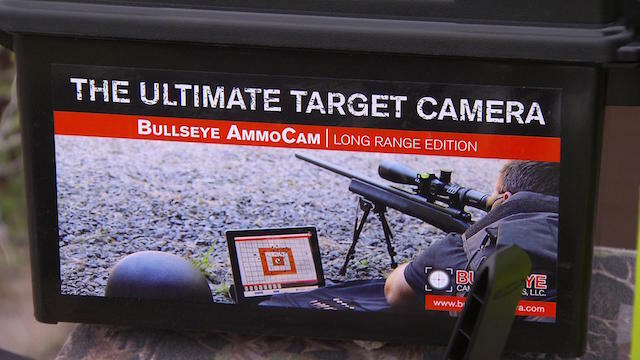 The long range edition is ideal for shooters shooting at any distance up to, and over, 1 MILE, sighting in their firearm, target practicing or developing loads. 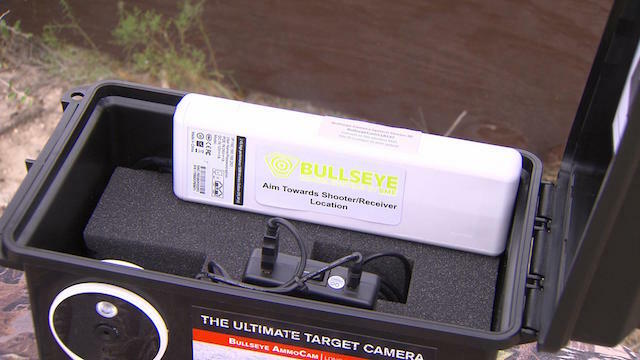 Completely self-contained, the long range edition sets up in under a minute and is ready to use. SEE YOUR SHOT See each shot, or group of shots, blink each time you shoot to easily identify the shot! No more guessing! MULTIPLE SHOOTERS AND VIEWERS Multiple users can shoot the same target, and multiple users can view the target at the same time. Great for training and teaching. REVIEW PREVIOUS SHOTS Save and review each shot sequence to analyze your shooting sessions. NO CELLULAR/INTERNET REQUIRED The system generates its own WI-FI Hotspot so you do not need Internet or Cellular Service! Works anywhere, all you need is an iPhone, iPad, Kindle Fire/HD or Android Device. No monthly fees. 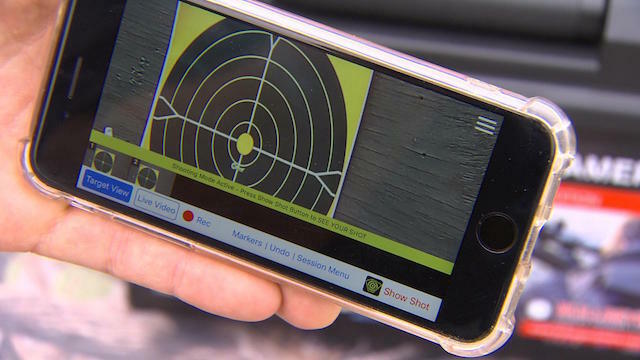 The Bullseye Target Manager app is a full featured software application available for free from the Apple App Store, Google Play and the Amazon App Store that allows you to view and track every shot during your shooting session. The external antenna allows you to shield the box without disruption of the WIFI signal. 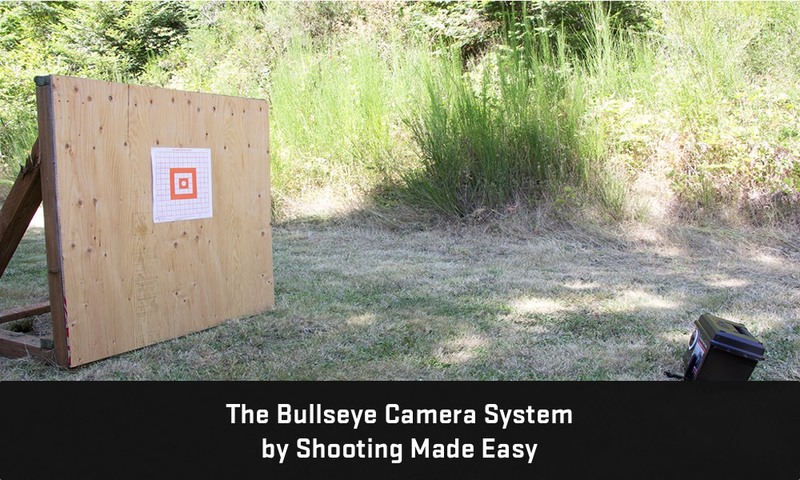 Compatible with free Bullseye Target Manager software package for iPhone and other devices.